Who is responsible for this MAD (medical assistance in dying) mess? Canada is on the verge of having no criminal restraint on the assistance in or administration of death by a physician, nurse or other medical professional. I can think of little worse than failure by Parliament to pass a law on the matter of medical assistance in dying (MAD) by the June 6, 2016 deadline established by the Supreme Court of Canada. Failure will force upon Canadians a province by province and courtroom by courtroom attempt to interpret the Supreme Court’s intent in the awkwardly reasoned Carter case. In February 2015, the Court undid the legal prohibition on assisted suicide with a confusing, but unanimous, decision in Carter v. Canada. The decision in Carter contradicted the Court’s comprehensively reasoned decision on the same point of law in the 1993 split decision in Rodriguez v. British Columbia, which held fast to the Court’s recognition of “sanctity of life” as an underlying value of the Canadian Charter of Rights and Freedoms. The Carter decision gave Parliament 12 months to come up with a new law. The justices had to know their timeline was unrealistic. Parliament was headed for summer break in June and an election in October. It was no surprise that an application for extension was made by the new government. But the extension granted was a mere 4 months, not the 6 months requested. In granting the extension, the Court also decided to offer up a host of exceptions to the existing prohibition – province by province legislative regulation and courtroom by courtroom evaluation of requests for MAD. One year after Carter, a joint parliamentary committee of MPs and Senators issued a report that suggested legalizing the medically assisted or administered death of just about anyone for physical, psychological, social (quality of life) or other “compassionate” reasons. 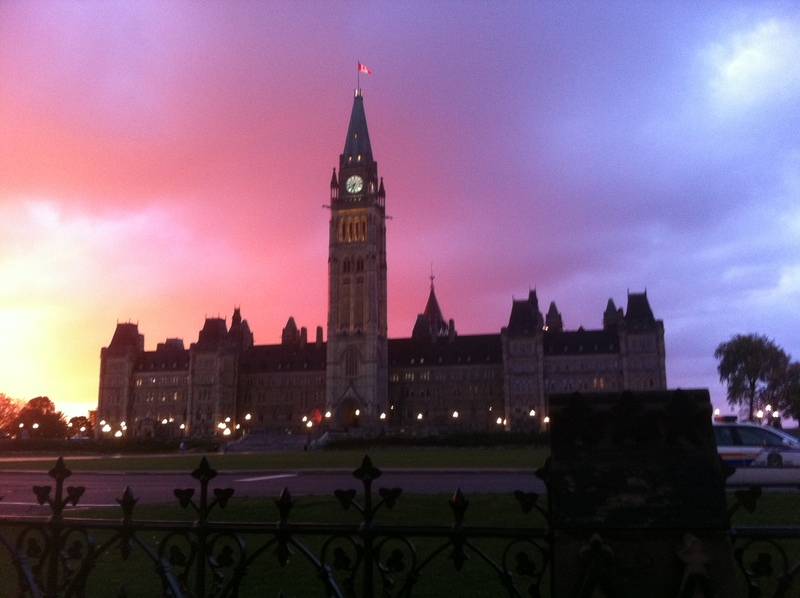 Bill C-14, An Act to amend the Criminal Code and to make related amendments to other Acts (medical assistance in dying), was introduced in Parliament on April 14. Unparliamentary behaviour by our Prime Minister – for which he has apologized – has delayed passage by the House of Commons. The Senate Committee on Legal and Constitutional Affairs reports that the Senate is unlikely to pass C-14, as is or with amendments, prior to the Court’s June 6 deadline. The Senate position is driven primarily by a desire to broaden the availability of MAD. They have already held full hearings on the bill. Bill C-14 may be the most legally conservative interpretation of the Carter decision that this government, or any Canadian government, will attempt to legislate. Those who oppose it make room for fewer constraints on who will face medically assisted or administered death. In other jurisdictions this has proven to move from patient request to physician determined execution for those assessed as having a lesser standard of life, whether children or the elderly. Who is responsible for the impending MAD situation? If the Court had given the 6 month extension requested, would legislation be in place by August 6? The politically aware Court would best have initially provided an 18 month period for new legislation. Having granted only 12, it should have allowed the government’s request for 6 more. The Senate often sits until mid-July, following adjournment of the House in late June. If the Prime Minister had not behaved poorly in the House, might the bill be progressing in a timely fashion in the Senate? Although passage of C-14 has been delayed in the House that should have little impact on Senate deliberations. Senators participated on the joint parliamentary committee and the Senate’s own committee review has been completed. Should the Senate impede progress of a bill approved by the House of Commons? Senators need to consider their role in providing “sober second thought” on a matter of national importance; and, urgency. First, the Senate assesses whether legislation is properly within the federal constitutional jurisdiction of Parliament. This does not include weighing whether the draft legislation is a precise depiction of a Supreme Court decision. Second, senators balance the constitutional role of the Senate with that of the House of Commons. Both houses are a form of proportional representation – elected nationwide by riding in the House of Commons and appointed to represent on a provincial basis in the Senate. While the Senate does study matters and propose legislation, it rarely offers more than minor amendments to legislation passed by the House. Third, the Senate, since 1960, evaluates whether the legislation aligns with the Canadian Bill of Rights, and, since 1982, the Charter. Senators’ concerns with proposed legislation may be addressed through committee hearings (which have already been held for C-14) or reference to the House (which has been done through the reports of the joint parliamentary committee and the Senate committee). Senate defeat of a House approved bill is rare. Senate delay is not. The government has stated it intends more extensive review of the dilemma of MAD during this session of Parliament; after passage of C-14 takes place, driving to accomplish the initial legislative task within the timeline allotted by the Court. Will the Senate fiddle while time burns? Will the government seek further extension from the Court? Would the Court grant it? It is heartrending to watch a nation transition from cherishing human life, at one time treasured from conception until natural death – the life cycle, to assessing whose life is worth living; and, the corollary, whose is not. The predicament in which our nation finds itself is not the concoction of its citizens. It is the responsibility of judicial and legislative decision makers.